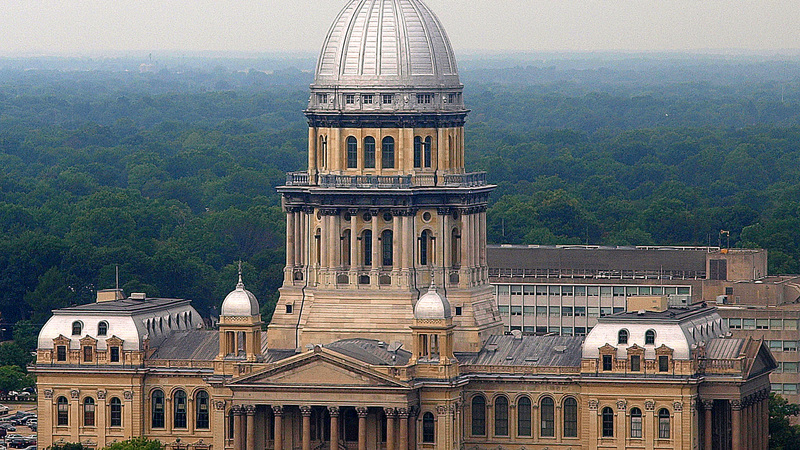 Illinois legislators on Wednesday dealt Gov. Bruce Rauner a series of losses, voting to override Rauner on at least a dozen bills ranging on everything from a mandate to teach cursive in elementary schools to a crackdown on companies that service student loans. It’s not final action yet—each of the measures still needs also be overridden by the other legislative chamber before becoming law. But in a significant victory for the Republican governor, for whom subduing unions is a lynchpin, the Illinois House failed by a single vote to override his veto of a measure that would ban municipalities from creating right-to-work zones and to otherwise regulate collective bargaining on a local level. Rauner says instead of statewide policy freeing employees in union shops to forgo union membership—something that is unlikely to pass given Democratic majorities in the legislature and labor’s history and might—municipalities should be free to create “zones” where right-to-work is in effect. But the matter isn’t settled. The sponsor of Senate Bill 1905, Rep. Mary Moylan, D-Des Plaines, says he plans to bring the measure back for a vote when the legislature returns for the second half of its veto session, Nov. 7-9. If at least one Democratic legislator who was absent Wednesday is present then, he could lend the final vote leading to an override. Moylan also says he plans to introduce a companion measure that would alleviate concerns of Republican critics. As it stands now, the legislation would criminalize mayors, village trustees and other elected officials who attempt to restrict collective bargaining—they could be charged with a misdemeanor. While the original measure will stay as is, Moylan says he will work to pass in November legislation that would remove those criminal penalties. In separate action, an Illinois House committee advanced a bill that would prohibit credit reporting agencies from charging a fee to residents who want to freeze their credit. House Bill 4095 is a response to the massive Equifax data breach announced last month. Consumer advocates recommend anyone affected be vigilant with their credit by freezing it, a process which helps to prevent the unauthorized opening of new accounts. Oct. 24: An open letter details sexual harassment in state political circles as lawmakers return to Springfield for the fall veto session. Oct. 23: After publicly equivocating of late, Gov. Bruce Rauner on Monday officially launched his bid for a second term in a highly produced two-minute video. Oct. 20: Chicago, Cook County and Illinois government are willing to shell out an incentive package worth around $2 billion in order to lure Amazon, according to two sources close to the bid process.